Thanks for visiting our website. 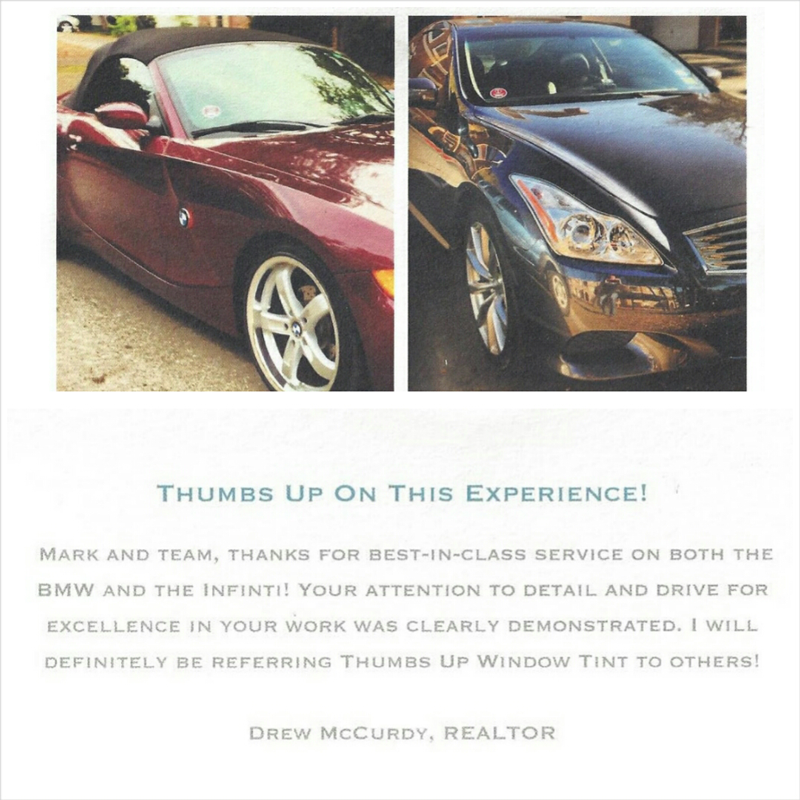 At Thumbs Up Window Tint, we strive to be the best we can be in servicing your needs. We believe that our customers come first; it is not just a clich� but a commitment we make to all our past and future customers. We are devoted to satisfying the customer, showing great quality in every job that we do. We have the utmost knowledge of window film, paint protection film, high intensity discharge lights (H.I.D. Lights), and installation. We have the best window film and workmanship in San Antonio, TX, and are proud of our rational pricing. All of our products will come with a manufacturer�s warranty to accompany our great customer service. Please feel free to browse our entire site. Can�t find what you�re looking for? Please give us a call at 210-680-2451, and we�ll be more than happy to help you out. Click on the �Talk Now� button to contact us immediately via telephone or click on the �Live Help� button to chat with our online receptionist. Our receptionist is standing by Monday to Friday from 9 AM to 8 PM (EST).